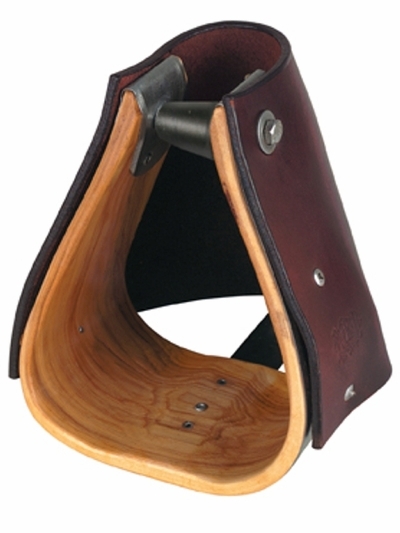 Ergo Balance design Oversize Hooded Stirrups. The special angled nylon top bar helps place rider's feet in a level position for decreased knee and ankle fatigue. Covered with top grain leather- 1" stainless shank to prevent crushing. 5 3/4" span for foot width, 4" deep. Black, brown or golden. In 1 1/2" , 2 1/2" or 3" neck. Sold in Pairs.